I’ve been looking at the Sonos system for a couple of days now and I’m impressed by what I’ve seen. If I were in the market for a digital music solution myself I’d certainly look at buying Sonos equipment. For those not familiar, Sonos is a modular system of speakers and software that between them create a wireless music network around the home. From your iPhone, iPad or Android device you can then select what you want to hear and have the same track playing in multiple rooms, or different music per room, according to your preference. The concepts around how Sonos works can be confusing for those who don’t have a technical bent. I can imagine how daunting it must be wondering which components are right for you, how to get them talking to each other, and so on. If you’re considering the purchase of a Sonos system I can help you with buying advice, installation and setup. My Sonos setup packages start at £80 and can go up to £500 (equipment not included), depending on the size of your home and how many components you want to include. 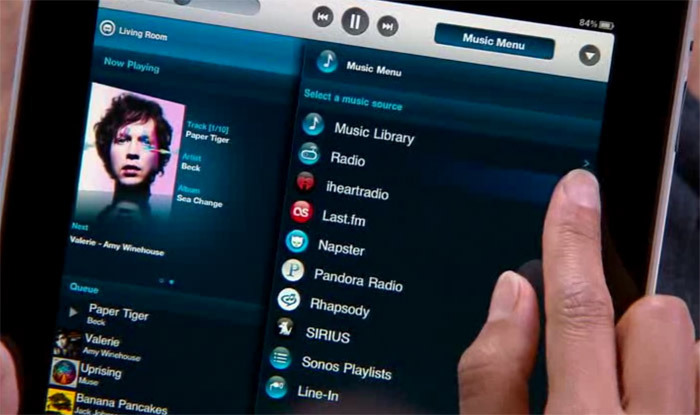 If Sonos figures in your immediate future and you’d like help getting it set up and working seamlessly, contact me for a free initial consultation. ← Microsoft Surface: will you buy one?